Martin Pierce would like to invite you to come join us at HD Expo 2014. This year we will be introducing our latest Morphic door handles in 316 stainless steel and bronze and will be offering you the choice of custom powder coated colors. We will also be debuting our first prototype LED handle, geared to those in the luxury hospitality market, we expect this illuminated design will become a signature statement. 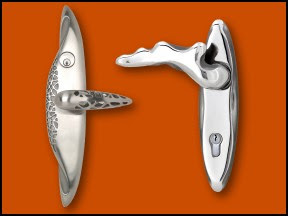 As a company we offer a full range of door hardware that includes trim for electronic key cards, bathroom and cabinet accessories and styles suited to all genre of boutique hotels be they contemporary, classical or transitional. The first 20 visitors to our booth will receive a bronze cabinet pull! This entry was posted in architectural hardware, custom door hardware, custom hardware, hospitality design ideas and tagged architectural hardware, custom hardware, HD Expo 2014, martin pierce at hd expo, martin pierce hardware at the hd expo. Bookmark the permalink.